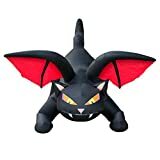 This Halloween, if you want to keep your costume super simple yet quite dramatic, slip on this cool new Inflatable Bat Wings Costume. 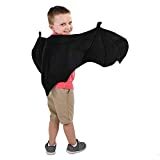 These lightweight bat wings inflate in seconds from a built-in battery-powered fan and have a massive wingspan over 5.5 feet wide. 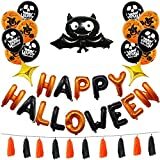 Hmm, I think it would be fun to go to a Halloween party with them un-inflated and concealed and then when someone inevitably asks "Where's your costume? 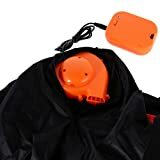 ", I would switch them on to everyone's surprise. 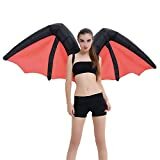 Perfect for Halloween, costume parties, cosplay, or just strolling around town dressed like a giant bat.